Rosemary, mint and onions are commonly found in kitchens, but physician Markus Sommer argues that cooking only makes use of one aspect of plants like these. In this illustrated, readable book he vividly describes their full characteristics, helping the reader to understand their true nature. He discusses the properties of over thirty plants. For example, did you know that St John's Wort is not only good for depression, but also heals wounds? Plantain is good for coughs, but is also effective in treating strokes and multiple sclerosis. 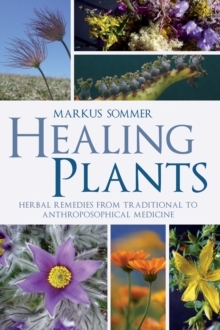 Dr Sommer demonstrates the deep connection between the character of the plant and the nature of the conditions they can cure or alleviate. More than just a simple guide to herbal remedies, this book lifts the lid on the powerful secrets of the plant world.